Qualifying Results: Pole Position for Jones at CTMP! Derek Jones continued his great season by adding another pole to his resume. Jones put down a lap of 1:31.721 to capture the pole by just .15 seconds. The top ten were separated by less than a second in the highly competitive qualifying session. 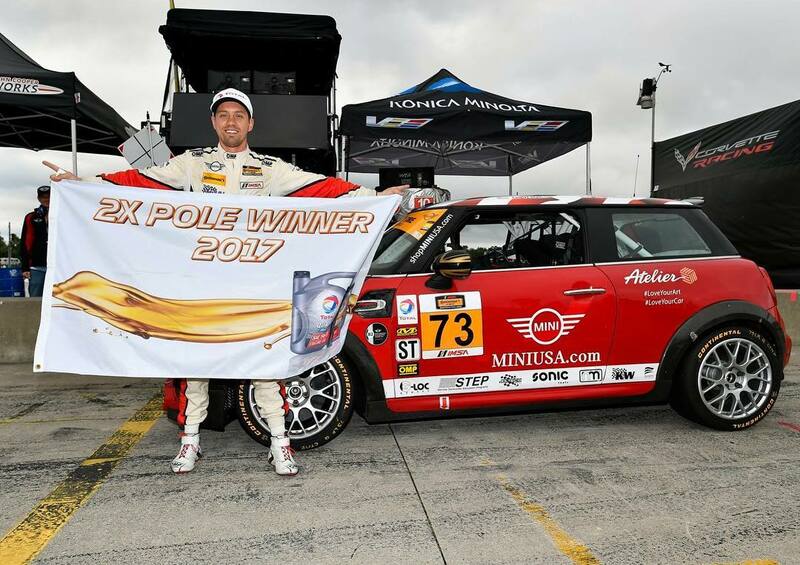 This was Jones third pole position, second of this season, for the MINI JCW Team. Let’s hope Jones and co-driver Mat Pombo can replicate this success in the main event.